1、Soak kidney beans for 2 hours, untill soften. Boild in the water with 1/2 Teaspoon salt for 15 mins. 2、Get the beans out of water, dry a bit, then stir the starch in to cover the beans. 3、Heat the oil in the pan, fry the beans till goden, then take them out. 4、Sprinkle salt and pepper, cool and serve. 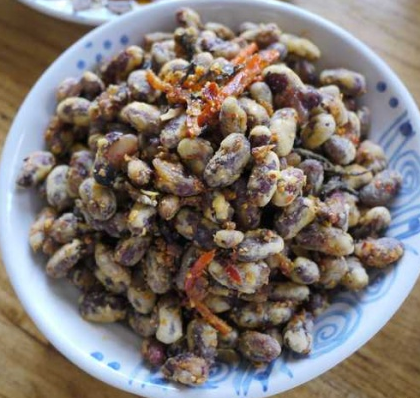 This entry was posted in Cooking and tagged yunnan by shaoxilizheng. Bookmark the permalink.